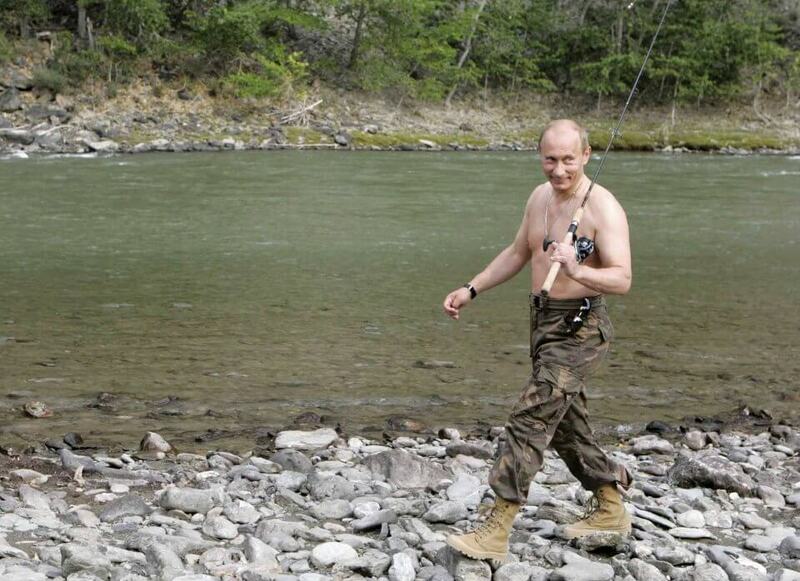 RUSSIA’S President Vladimir Putin, who loves to cultivate a virile man-of-action image, was shown on Russian TV Saturday spearfishing in a camouflage wetsuit, piloting a powerboat and catching some rays while on a Siberian holiday. 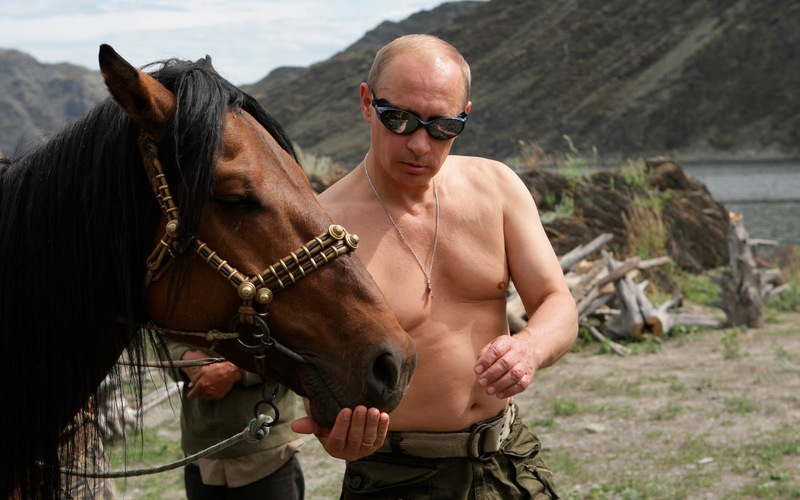 Mr Putin’s affinity for the tough guy pose has been documented with shots of him bare-chested on horseback, diving in a submarine in Lake Baikal - the world’s deepest - and flipping a Judo opponent. 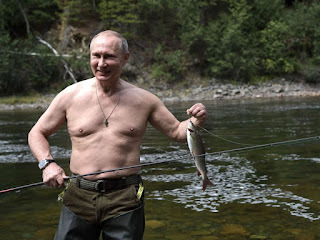 Mr Putin “fished in a waterfall near a mountain lake, indulged in underwater fishing, sunbathed, went rafting in mountain rivers, piloted ... motor boats, went hiking and four-wheeler riding in the mountains,” said Kremlin spokesman Dmitry Peskov. 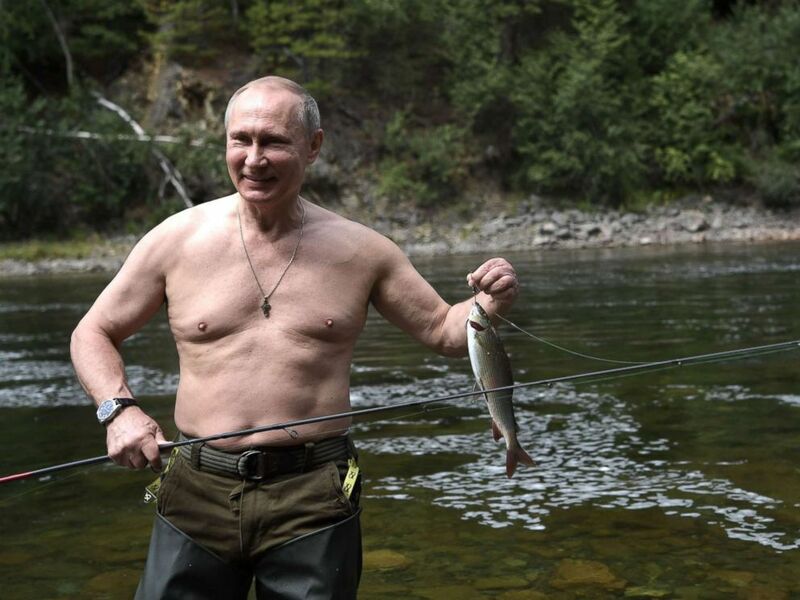 on “the physical fitness of the president”, show Putin catching a pike in a camouflage wetsuit or sunning his bare torso with Defence Minister Sergei Shoigu, who is originally from the region. 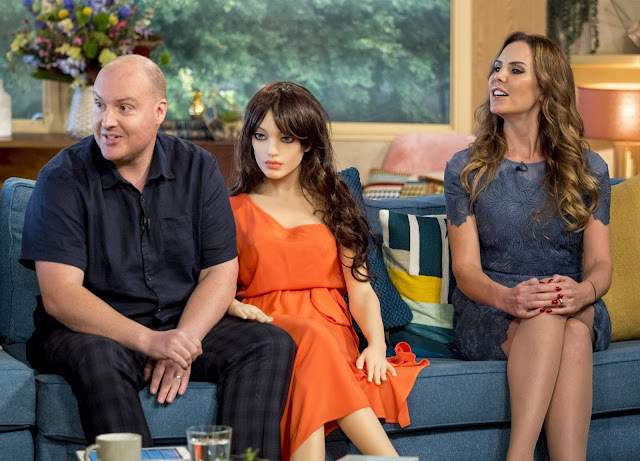 Mr Putin’s previous made-for-TV exploits, however, have not been without controversy. 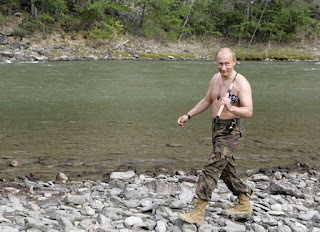 During a 2011 dive in the Black Sea he allegedly discovered two 15th century amphoras, but the find was mocked in independent media because the vessels were suspiciously without algae or other sea life.